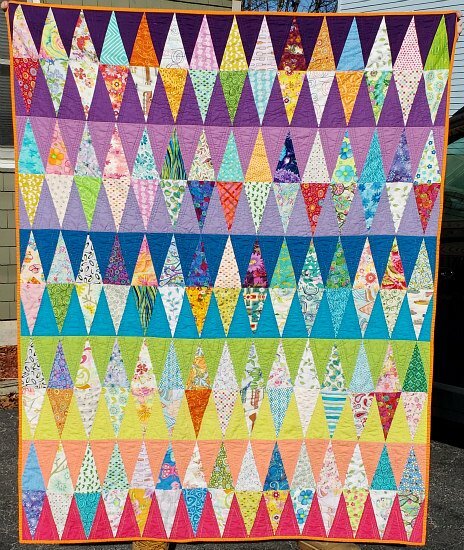 I call my version Tabby Triangles - variation of Tula Pink's Tabby Mountain. The original pattern is a download. I made mine w/scraps and Kona solids. Tool the small or large 30 degree triangle ruler. My version uses the small. Original the large. Students can choose to make any size triangles with a little tweaking.